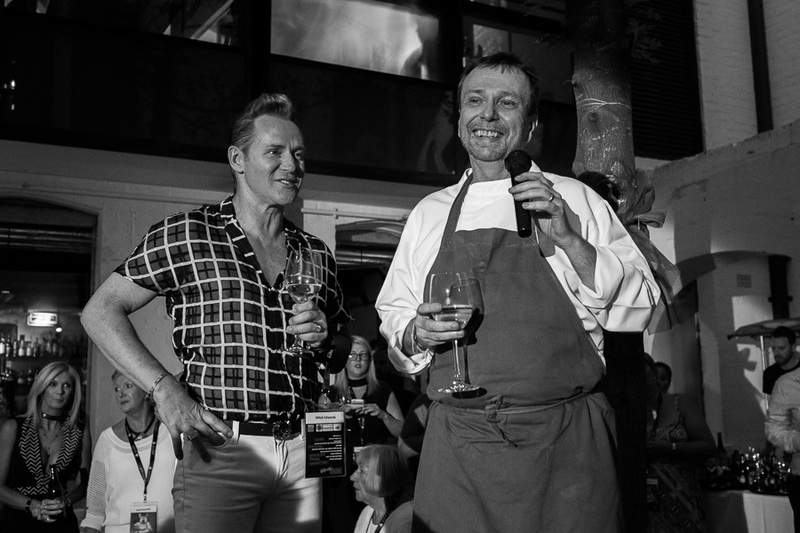 We attended our third Perth PorkStar a couple of weeks ago, a gathering of Perth’s top chefs, food industry heroes and pork-loving friends. This year’s event was held on a balmy Monday evening in the courtyard of Long Chim Perth. 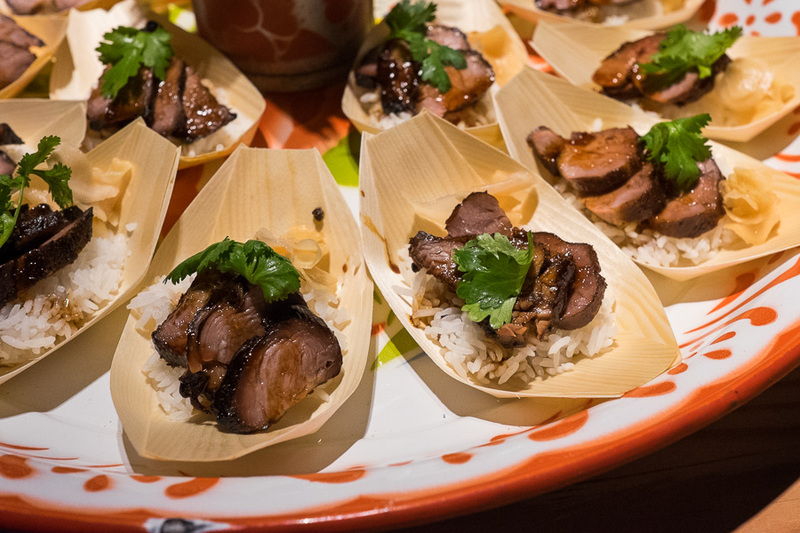 The PorkStar program is run by Australian Pork Limited to inspire chefs to get creative with pork and feature pork dishes on their restaurant menus. 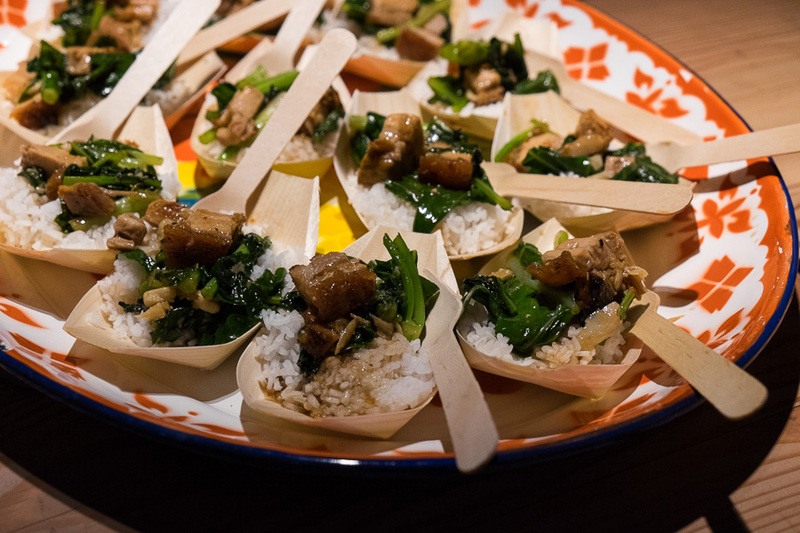 Every year, the PorkStar team travels across Australia to promote its tasty message, holding a special event celebrating Australian pork in each of the capital cities. With the dinner service going strong in the dining room, our porktastic Thai feast was served cocktail-style, which is always a challenge for food photography and also for getting enough to eat. Having been to cocktail functions that left us hangry and frustrated, we knew to position ourselves close to the courtyard entrance, right in the path of the staff members bringing out the food. 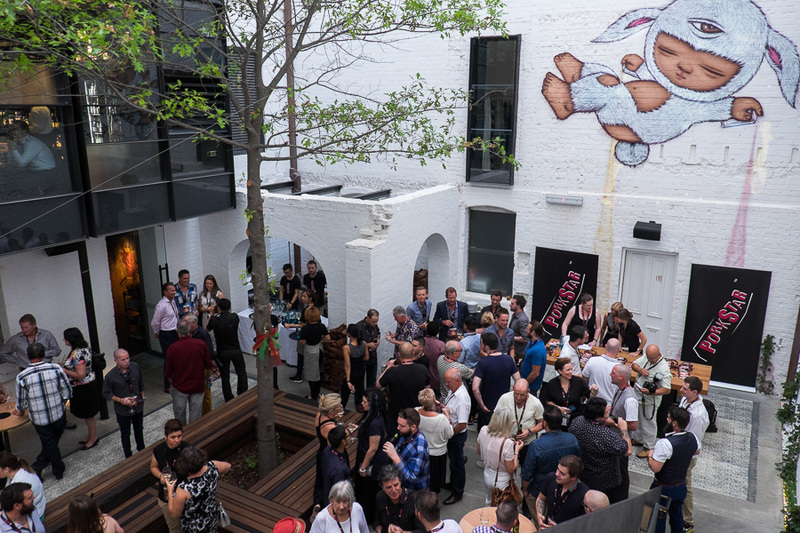 Perth PorkStar 2016 was held in the Long Chim courtyard, which features artwork by Thai street artist Alex Face. After dark, light projections onto the wall create mesmerising animations around the artwork. 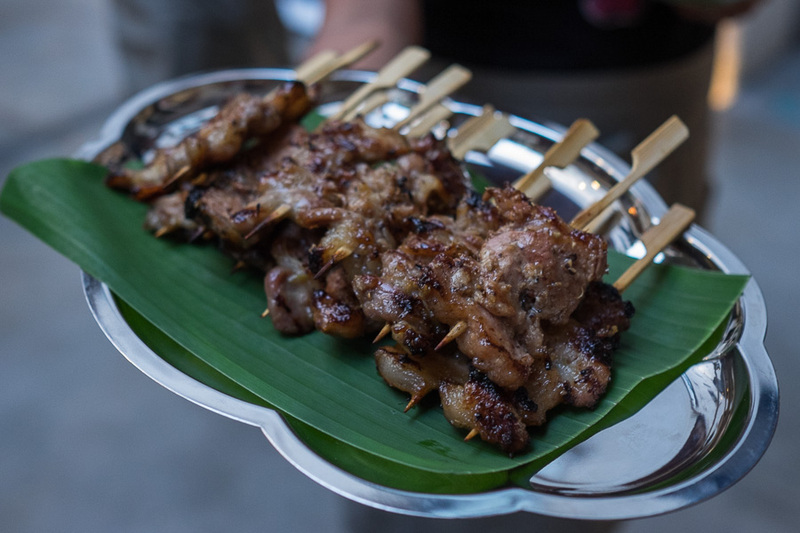 The grilled pork skewers were juicy, deliciously fatty and nicely caramelised with a sweet marinade. After sunset, taking good food photos would’ve been impossible in the dark courtyard, and so I must thank David from Perth Photography, PorkStar’s official photographer for the evening, who generously invited me to join him in taking pictures of the dishes specially plated up by the chefs for photographic purposes, right next to the kitchen. 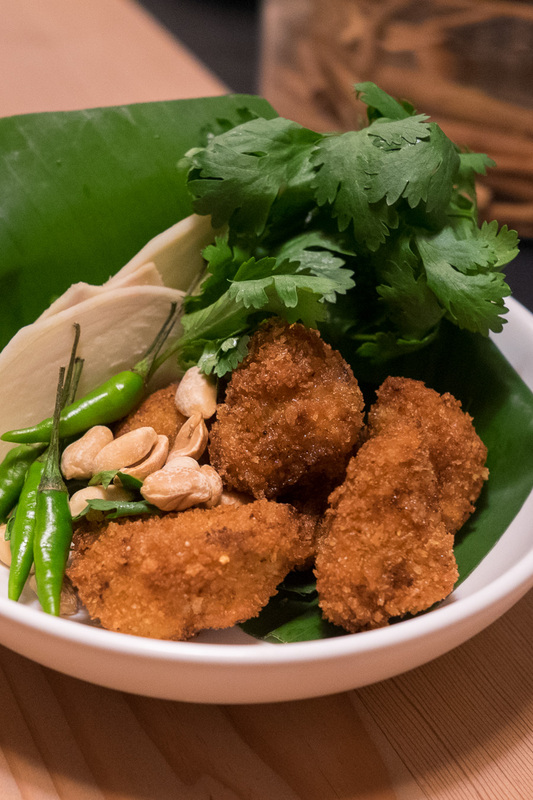 Cured pork fritters – crunchy little nuggets of cured pork with a slightly sour flavour and warm afterburn. 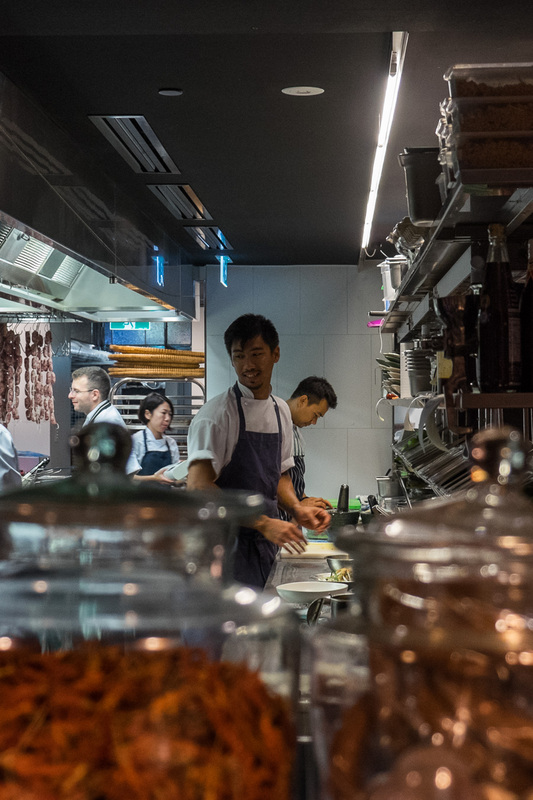 Food critics have generally praised Long Chim Perth, and John Lethlean from The Australian even suggests that here “you’ll find what is almost certainly the best Thai food Perth has ever seen”. 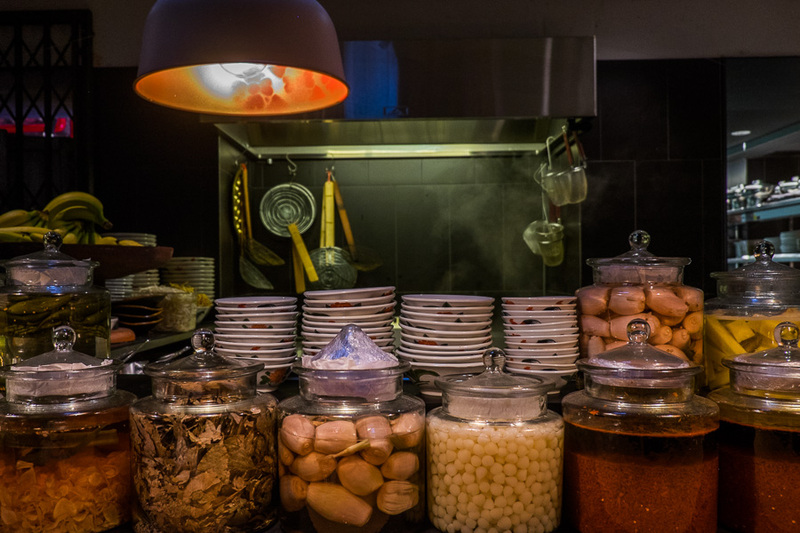 Whether you agree or not, the eye-watering heat of some dishes at Long Chim won’t be for everyone. Certainly, at PorkStar, the spicy pork with rice cakes, a dish which features on Long Chim’s regular menu, claimed many an unsuspecting victim. 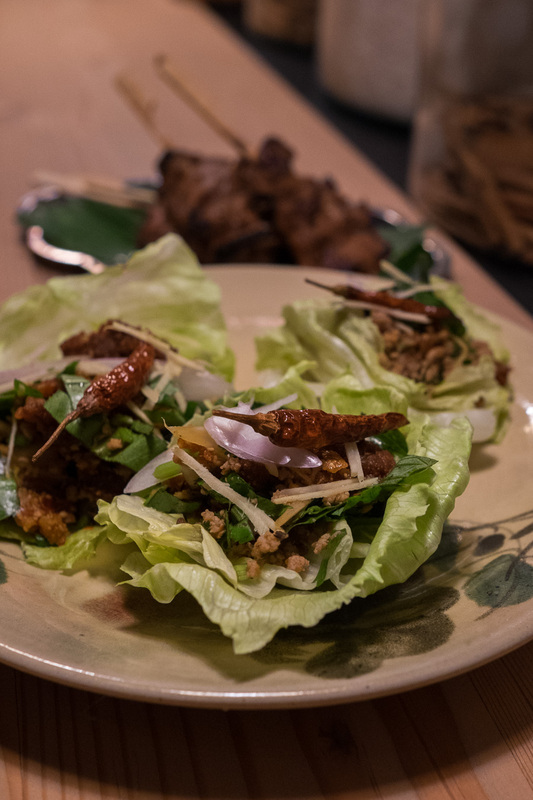 While I like spicy food, I’m not a fan of aggressive heat, and as others discovered, removing the dried red chilli garnish made no difference to the mouth-numbing, searing heat wrapped up in a decoy lettuce leaf. I spoke to several guests suffering the after-effects, tingling tongues hanging out, dribbling, desperately gulping down the matching Riesling – which did little to douse the fire, by the way. It’s worth noting that on the regular menu, spicy pork with rice cakes isn’t marked with the little icon denoting ‘spicy’. Consider that a warning, unless you’re a serious chilli champion – in which case, go wild, order some of the Chiang Mai larp of chicken too, and brag to your chilli wuss mates. The sweat-inducing spicy pork with rice cakes . 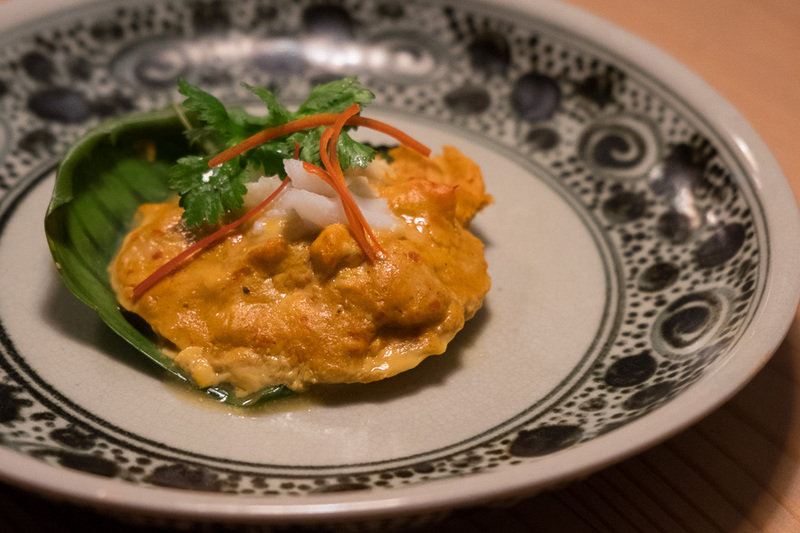 Steamed red curry of pork and crab, with a texture reminiscent of Malaysian otak-otak. Good old easy to eat BBQ pork and rice with pickled ginger was a welcome relief! Stir-fried glass noodles with cured pork and squid – minced cured pork with tender squid, slippery glass noodles and salty tiny dried shrimp. My favourite dish of the night was the roasted pork belly with Chinese broccoli and oyster sauce. 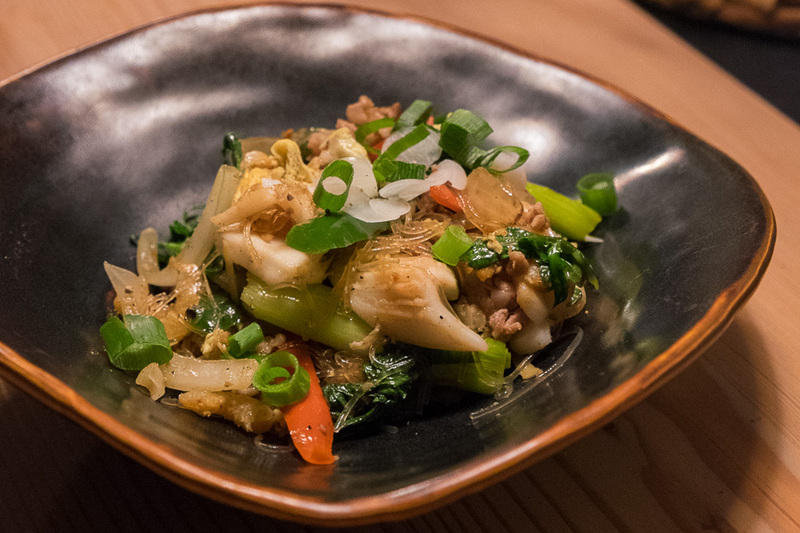 No surprises, just succulent chunks of pork belly with crackling, and home-style garlicky Chinese broccoli (kailan) with oyster sauce soaking into rice. 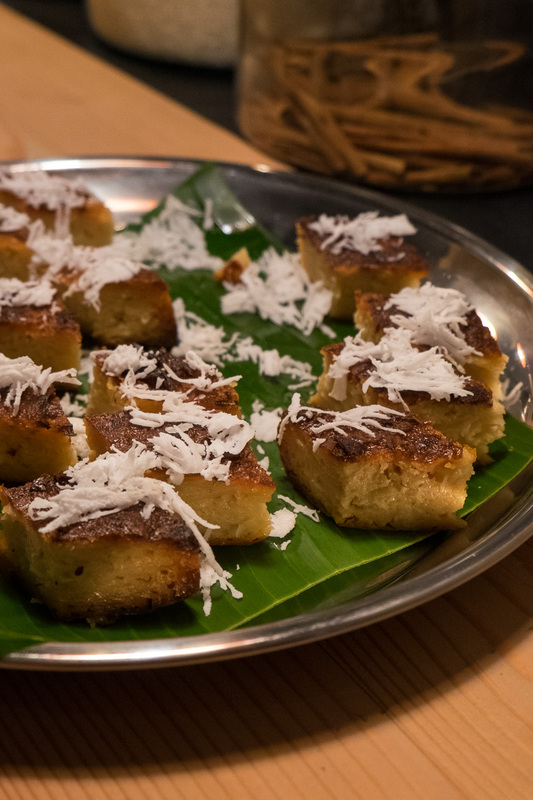 There were two desserts; first, the moist, slightly sticky coconut cake, topped with grated fresh coconut. This cake is featured on Long Chim’s regular dessert menu. Second, Thai coffee ice cream with sesame wafer. Sweet yet intensely strong coffee with a hint of bitterness. 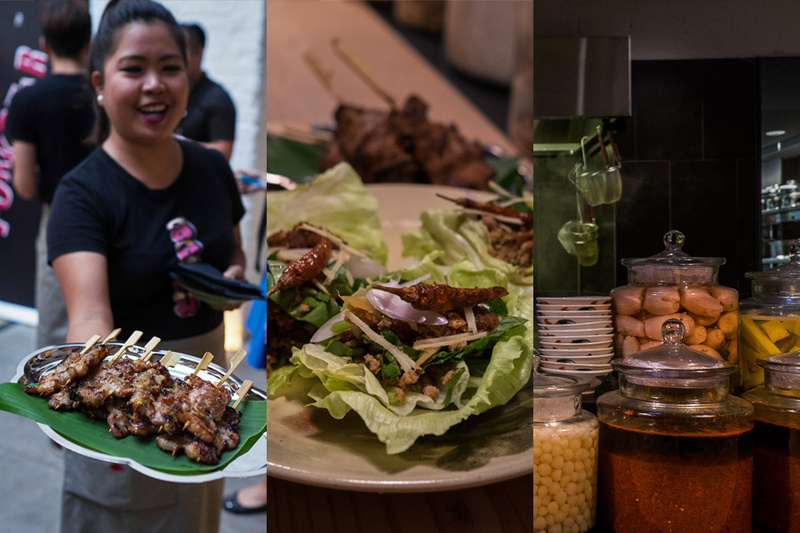 Having now been to the restaurant’s launch party as well as PorkStar at Long Chim, I’m not ashamed to admit I will actively avoid the very hottest dishes on the menu. But I’d like to try their famous durian ice cream, which I hear is fantastic. PorkStar Marketing Manager Mitch Edwards with the man behind Long Chim, celebrity chef David Thompson. 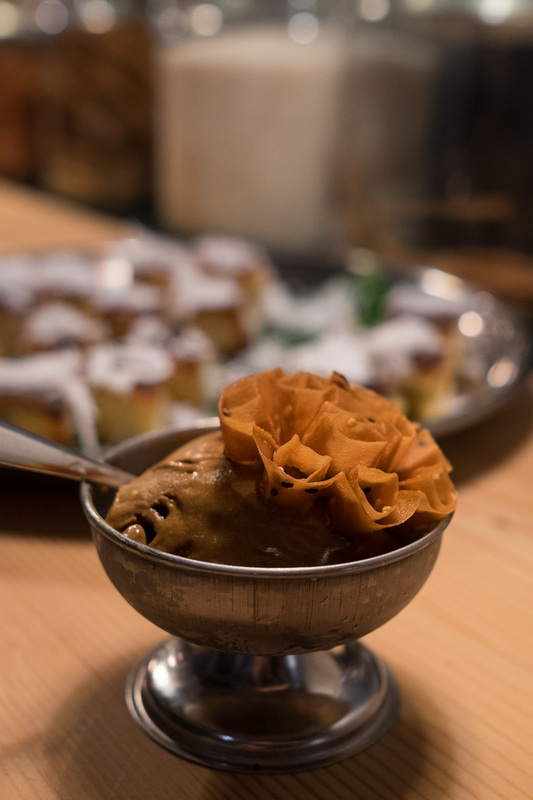 Next to the kitchen and in front of the counter seats, you’ll find a very interesting assortment of ingredients in jars. They make their own pickles and spice pastes at Long Chim. Sneaking a shot of the kitchen through the jars of spices and pickles. Hanging right at the back are strings of Long Chim Perth’s signature cured pork sausages. TFP and Jac attended Perth PorkStar 2016 as invited guests of PorkStar, an initiative of Australian Pork Limited. Perth PorkStar 2016 was held at Long Chim Perth – located in the basement at the State Buildings, corner Barrack Street and St Georges Terrace in the Perth CBD. Guests enjoyed beers by Two Birds Brewing, Australia’s first female-owned brewing company, and matching wines by Swinney Vineyards from the Frankland River region in South West Western Australia, provided through Domaine Wine Shippers. 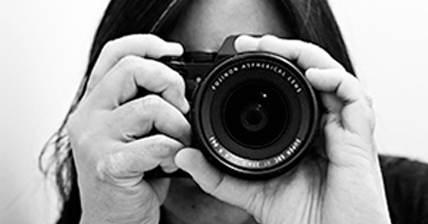 Check out the PorkStar website for more information about the PorkStar chef ambassador program, recipes and tips for cooking with pork, and images and video from PorkStar events across Australia.